Update 3: "There is potential for other (Defender series) vehicles. We're launching the first one, and there might be others coming," Joe Eberhardt, CEO, JLR North America, has told Trucks.com. This strengthens the speculation that the next-gen Land Rover Defender will likely be not a single model but a family of multiple models. 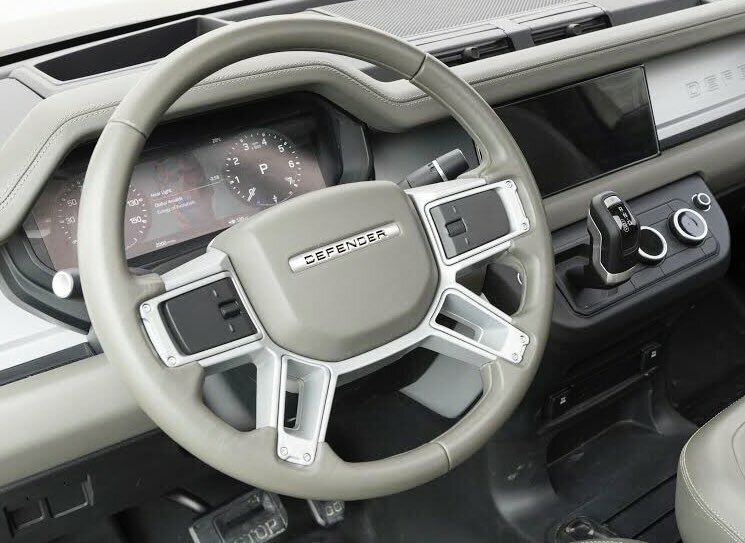 Update 2: An interior image of the all-new Land Rover Defender's has leaked online. This is probably one of the early iterations that could have undergone various refinements before being finalised, or maybe one of the many designs studied but scrapped. Update 1: Land Rover has released the first teasers of the next-gen Defender. 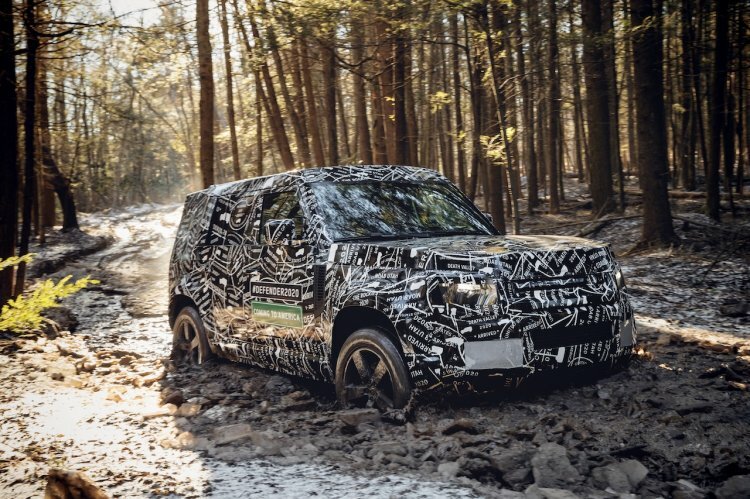 The upcoming model undoubtedly is going to look a new-age Land Rover, but with conventional SUV traits, such as a boxy body, straight lines, flat bonnet and upright pillars. The company's engineers will test the prototypes in temperatures from -40F to +120F, and on- and off-road at altitudes of more than 13,000 feet above sea level. The official debut will take place this year, but sales will commence in 2020. One of the most eagerly anticipated UVs of this decade has to be the new Land Rover Defender. In a recent interview with GQ, Land Rover’s Design Director Gerry McGovern has shared some information about the future model’s looks. The next-gen Land Rover Defender will have a unibody construction. The next-gen Land Rover Defender will be a proper utility vehicle, but it will be a “Dual Purpose” model. Land Rover will take the lifestyle factor into the mix while designing the new generation model to make it upmarket and plush. “Lifestyle will influence the design and propel it from the original,” the design chief told the lifestyle magazine last month. The plan is to have inspiration from the original model, but not so much that it ends up looking just a thoroughly improved version of it. “The trick is to capture the essence of what vehicle was, but not be oversensitive to what’s gone before,” Mr. McGovern said. What can be made out of Mr. McGovern’s words is that the all-new Land Rover Defender might be a major departure from its predecessor, which was not the case with its arch-rival Mercedes G-Class. Land Rover will undoubtedly proceed with caution as the DC100 and DC100 Sport concepts from 2011 faced a lot of flak from Defender loyalists and the general public and eventually were scrapped. The next-gen Land Rover Defender will be available in multiple bodystyles. There will be short- and long-wheelbase versions, both spawning various hard- and soft-top bodystyles. Land Rover will likely offer the renewed UV as a conventional wagon, a safari wagon, a convertible and maybe even a pickup truck. A teaser shot released by JLR hints that the new generation Land Rover Defender has a flat roofline, high shoulder line, trapezoidal wheel arches and an upright rear-end. The all-new model will be underpinned by an improved version of the Range Rover's D7u platform and will use an aluminum-intensive unibody. The engine range should include multiple 2.0-litre Ingenium petrol and diesel options. Later, there will be a pure electric variant, the specifics of which are unknown at the moment. The all-new Land Rover Defender is said to come in SWB and LWB versions, and there's speak of a pickup truck as well. The next-gen Land Rover Defender will likely go on sale internationally in 2019.